Did you know about the anglo-western groups that blew the wind in hitler's wings? University of Washington, Tacoma (London, Ann Arbor: Pluto Press, 2005). to World War I, that is). English speakers reaching for their dictionaries. Norman continued to be the Bank of England Governor until 1944.
when Hitler finally became Chancellor, was crucial. them, read any of their views etc. as one of the leading historical revisionist and Holocaust denial groups. especially the British (with their longer traditions of such behaviour). error-ridden improvisation, as the mainstream would often have us believe. your entire view of the 20th century. Gurjieff would say that most men DO nothing, that events mostly just happen. Most men just go about each day living by their impulses and habits. The men who possess higher consiousness are mostly trying to keep the automotons from self destructing. The STS higher consiousness beings just simply lack the quality. They for the most part just play Mephistopheles with some evil plan that always gets turned this way and that and leads back to a path of constructive growth. The biter bitten is the rule. I could go on about conspiracy concerning WWi and WWii from what Hans-Hermann Hoppe and David Icke wrote. Yeah, yeah, the evil blue eyed man is oppressing everyone. What I have noticed from people that claim to be a victim, through the decades, is that they play the role of predator quite frequently. Their words make them out as victims, their actions make them out as predators. They roam around crying out 'I'm a victim' as they go around victimizing people. I'm getting sick of 'em. Most of the crybabies are from the Forth Root-Race of men, and lo and behold, we are already winding down the Fifth Root-Race of men, great numbers of the Sixth are already here. We are all ONE and we don't hold onto bloodlines. We intermingle and the blood of every human is the blood of every other human. I don't hold any power in the Kingdom which is this matter we live in on Earth, and I don't care about the ones who crave it and squabble over it. Everything I need is within me all the way to Adi. I was watching the movie "The Corporation" yesterday and it showed how corporations in countries not allied with the Axis of evil were helping the Third Reich in the name of profits. IBM was helping Hitler produce a systematic way of identifying people through this hole-punch card system to help with the Final Solution..
juste pour te dire que j'ai écrit un message pour le theme "pope is warned for a green antechrist". J'espère que tu me répondras et j'aimerais beaucoup rentrer en contact avec toi. The mills of the Gods grind slow, but oh, how fine they grind.! Multinationals have invested in every wayward regime so I do not think its too wise to read too much into any particular case, other than greed before morals. They are still lining people up at the side of ditches in China for a single shot in the back of the head. Have you heard about the Holocaust Industry (Norman Finkelstein) and the use of the Holocaust to manipulate others by making them feel guilty? Did you examine the zionist power structure? The power of the Israel lobby? This is real. Yet one must see that the worst antisemites are zionists, and stupid neo-nazis. Hitler was brought to power by big banking (jewish) money. He was a zionist stooge who believed that zionism was a great movement and an the antidote to the so-called "jewish problem" (in Mein Kampf). Zionists and Hitlerians agreed to scare the hell out of the Jews to make them flee and go straight to Israel, to colonise Israel. a Zionist even said: "A cow in Palestine is not worth a thousand German Jews". He dais that because as a zionist he did not wanted to help the Jews who were persecute in Germany. This is to say how much the zionists wanted the Jews to get out of Germany. I never liked studying history, but put in a very tiny effort to it once. I even read a couple of tedius volumes, "Immigrations and Migrations," and, "Conquests and Cultures." It seems to me that every race and ethnic group on this planet has had their fair share of pain and suffering. It has been suggested to me once that evidences of past races show up now and again, but suddenly traces of their existence suddenly appears to stop. One possibility that is posited, is that they communally ascended to a higher plane of existence. If I am always fixated on the evil doings of another. The object would be, ' the other ' and the subject, ' evil doings. ' So subjectively, I would always be fixated on evil doings. It is a natural and logical outflowing consequent therefrom. Well yes to an extent, but also the average Jews who support the Zionists do not help the situation. This part is conjecture on which I am undecided, it would appear that Germanys economic success occured after they had removed the control of the Zionist Bankers, which is why they had to be crushed at all cost. It could not be seen that an economy could not only be successful but actually booming without being part of the world financial system. One clue here is that Germany was denied access to oil and had to make its own from Coal. Easter Week-end: Black mass/black sabbath. To mock the death of Jesus Christ, a man is sacrificed on Good Friday. On Easter Sunday, known to satanists as unholy sunday, a woman or man is sacrificed followed by three days of fasting and chanting. April 19 - 25 Sacrifice preparation: kidnapping, holding and ceremonial preparation of person for human sacrifice. Unholy "Super-Blood-Rituals" to mold minds of the populace while appeasing evil Gods. 13 of course being a favorite occult number. April 19, 1943, when Dr. Albert Hofmann first took his discovery LSD intentionally. Three days earlier, he had absorbed a small amount of the drug through his fingertips. On Bicycle Day, he took 250 Âµg of LSD at 4:20PM and, fearing he had made himself ill, bicycled home from his lab. He wrote about his experiments and experience, which was later put into his book LSD: My Problem Child. April 19, 1933, Franklin D. Roosevelt announces that the US will leave the gold standard. (Enter the Unconstitutinal Federal Reserve). April 19, 1995, Oklahoma City Bombing (Subliminal preparation for Police State/Patriot Act and attacking Militias. (I bet the bomb went off at 9:02 or 9/11) but the elite knew that would be way too much showboating). 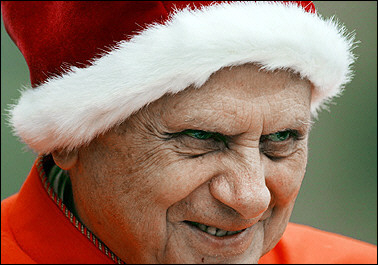 April 19, 2005, Cardinal Ratzinger (German Nazi?) was elected by his fellow Cardinals to the throne of St. Peter, Bishop of Rome, Shepherd of the Holy Catholic Church. 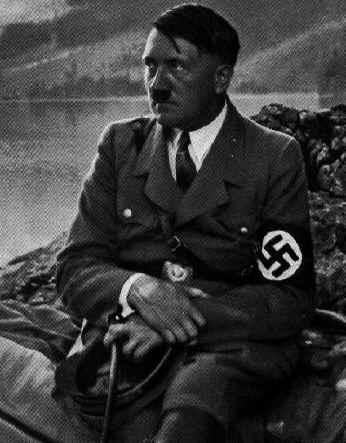 Let us not forget ol' Hitler's birthday was only a day later on April 20 or 4/20. I also noticed that April 19 is 109th day of the year. April 19th is also 110th in leap year. Intrigued by the architecture of the Murrah Federal Building Memorial, I decided to count the stones on the face of the memorial. I counted the complete slabs ( half slabs are colored yellow) and came to the conclusion of 88. Due to the poor quality of the picture I cannot be sure. But the number 88 can be considered a "Master Number". Yet this is not what pushed me to post about it. You see; there is a gang here in Germany known as Eighty-Eight also known as Crazy 88 . What makes this significant is that the eighth letter of the alphabet is H. For this German gang, 88 translates to H.H. or "Heil Hitler" . With all of the talk of the 4th Reich alive and well within America (Prescott Bush) I thought it was noteworthy. (If the opposing side of the monument also has 88 complete slabs then in total that is 176 slabs. Also notice that 88+9:03=an even 100. Hans and Torrey Butzer and Sven Berg of Butzer Design Partnership, Oklahoma City, OK.
Butzer Design Partnership was established in 1990 shortly after its partners, Hans and Torrey Butzer, graduated from the University of Texas at Austin. For a period of two years, they completed various residential projects and graphic commissions. In January of 1992, they relocated to Germany, where they spent 5½ years working with several architectural firms. During this time, Hans and Torrey continued to pursue further commissions for the Partnership, primarily through participation in various European architectural competitions. In early 1997 while living in Berlin, Germany, they participated in an international design competition for the outdoor symbolic component of the Oklahoma City National Memorial. Hans and Torrey" associate Sven F. Berg assisted with the submission of their design. why did it change from 9:01 to 9:03? The same site mentioned in the link above contradicts the memorial! On the morning of April 19, 1995, Timothy McVeigh parked a rented Ryder truck with explosives in front of the complex and, at 9:02am, a massive explosion occurred which sheared the entire north side of the building, killing 168 people. So they muddy the waters concerning the time of the bomb because it would be too "In Your Face" to show the 9/2 connection. To bring this all back to Hitler I point no further than Prescott, George & George Bush. 1.) Operation Paper Clip: "The U.S. Military rounded up Nazi scientists and brought them to America. It had originally intended merely to debrief them and send them back to Germany. But when it realized the extent of the scientists knowledge and expertise, the War Department decided it would be a waste to send the scientists home. Following the discovery of flying discs (foo fighters), particle/laser beam weaponry in German military bases, the War Department decided that NASA and the CIA must control this technology, and the Nazi engineers that had worked on this technology." 2.) Wernher von Braun: The CIA assisted Braun via Operation Paperclip to work in America "From 1937 to 1945, von Braun was the technical director of the Peenemunde rocket research center, where the V-2 rocket --which devastated England--was developed. As noted previously, his dossier was rewritten so he didn't appear to have been an enthusiastic Nazi. Von Braun worked on guided missiles for the U.S. Army and was later director of NASA's Marshall Space Flight Center. He became a celebrity in the 1950s and early 1960s, as one of Walt Disney's experts on the "World of Tomorrow." In 1970, he became NASA's associate administrator." 5.) Nazi Antarctic Base: In 1938, Nazi Germany sent an expedition to Antarctica with a mission to investigate sites for a possible base and to make formal claims in the name of the Third Reich. To prepare them for their mission, they invited the great polar explorer Richard E. Byrd to lecture them on what to expect. The following year, a month after hostilities had commenced in Europe, the Germans returned to Neuschwabenland to finish what had been started, with many suggesting that a base was being constructed. Nine years later, Richard E. Byrd, who by now had become an Admiral in the United States Navy, was sent to Antarctica with the largest task force ever assembled for a polar mission. In Admiral Byrd's own words, the mission (code-named Highjump) was "primarily of a military nature".1 Many claim that the task force was sent to eradicate a secret Nazi base in Queen Maud Land, which the Nazis had renamed Neuschwabenland and which had never been explored as profoundly as the rest of the Antarctic. But, and the big but is, the fact that Admiral Byrd spoke of "flying objects that could fly from pole to pole at incredible speeds"2 and with well-documented German activity before, during and in the immediate aftermath of World War II, one can't help but wonder whether there is some truth in the Nazi Antarctica myth. Even so, could Operation Highjump and Byrd's quotes have overshadowed the truth about British excursions in Antarctica by way of misinformation, bringing attention to his mission and, by doing so, making sure that history only remembered one mysterious Antarctic mission? 6.) The Bushes: "George Bush's grandfather, the late US senator Prescott Bush, was a director and shareholder of companies that profited from their involvement with the financial backers of Nazi Germany." Prince Henry is wearing the desert uniform of Gen. Erwin Rommel's German Afrika Korps. Gen Rommel was nicknamed "Desert Fox". George H. W. Bush spoke of war with Iraq in 1991. In that same speech, George H. W. Bush announces New World Order on September 11th, 1991 Exactly 10 years to the day, before the inside planned massacres of September 11th, 2001 calling the Operation "Desert Fox"
The Untold UFO War in Antarctica. Part 1. The Untold UFO War in Antarctica. Part 2. Oh yeah I finally went to see the guidestones a few months ago, its only about a half hour or so away from me. Really weird how its stuck out in the middle of nowhere, in a confederate flag wavin' neighborhood no less. I think they picked the highest elevation in the county but why Elbert County of all places, I don't know. I feel like there is some significance to the location that isn't generally known about, but I didn't feel like hanging around to investigate too much that day. Sympathy for the Chosen People.